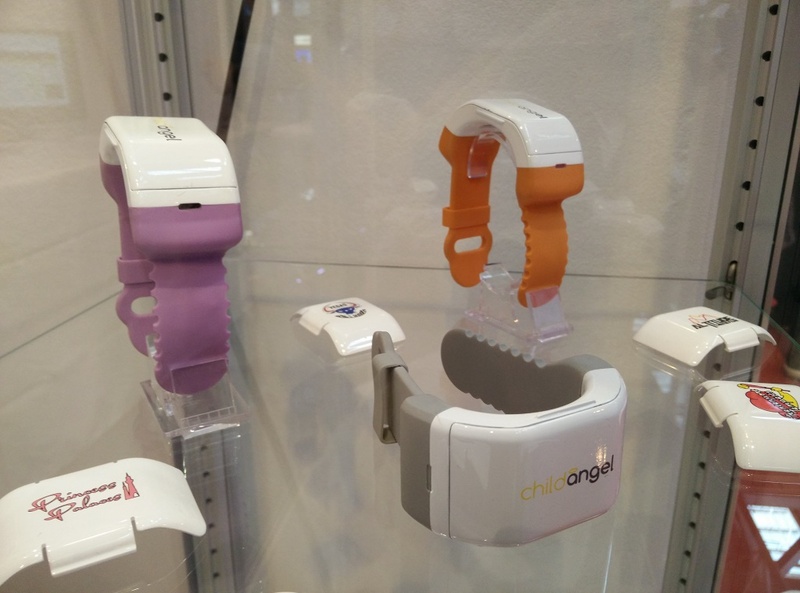 Continuing GNC’s coverage of the Gadget Show Live and theBritish Inventors’ Project, Child Angel is one of the smallest and most advanced child tracking device on the market. Made to be attractive to the child and easy to use in an emergency, the Child Angel wrist-mounted tracker provides accurate location monitoring by combining GPS, GSM and Wi-Fi hotspot triangulation. Child Angel keeps children safe in three ways. First the parent can view the child’s location on a map using the Child Angel app on their smartphone or tablet (both iOS and Android). Second, the child can send a “Help Me!” alert by taking off the bracelet and third, an alert is raised if the child leaves a geo-fenced SafeZone. The battery life is about 48 hours and the Child Angel can easily be recharged through the micro-USB. The Child Angel bracelet is available in different colours and can be customised with personalised covers, too. The Child Angel should be available soon with a retail cost around £100. 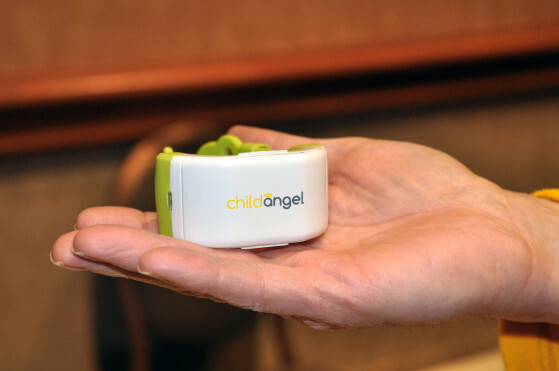 In a power session with Child Angel Founder and CEO Andrew Purcell, we got a closer look at the newest prototype of their child-tracking GPS bracelet. Shortly thereafter, the idea of Child Angel hatched into something tangible. First there was a bracelet design, then multiple prototypes. The current design is a bracelet made of white plastic and adjustable, colorful rubber straps. The white plastic piece on top includes LED indicators and an alarm function that a child can press when he or she is lost, an action which notifies the parent immediately. Parents can also set geofencing preferences so that they will be notified when their child wanders beyond a certain range. The GPS tracking technology and a battery give the bracelet some bulkiness and weight. We handled the prototypes at the show for long enough to deem them a bit too cumbersome for everyday use, especially when they’re meant to be worn by active children. Purcell hopes that clever clip-on plastic covers featuring favorite cartoon characters, athletes, or whatever else may be trending at the time, will help make kids want to wear the bracelets despite their heft. Tracking your child daily sounds like a lot to handle as a long-term plan, but Purcell thinks Child Angel has a more promising use as a rented device. He aims to sell Child Angel devices and services to amusement parks so that parents can rent the devices for the day to keep track of their children in particularly hectic or crowded areas. “I talked to people in many amusement parks around England, and over 80% said they would have hired one for the day. Many asked if they could buy one straight away,” said Purcell. He also hopes to extend to other markets: Care Angel for the elderly, and Pet Angel for dogs and cats. 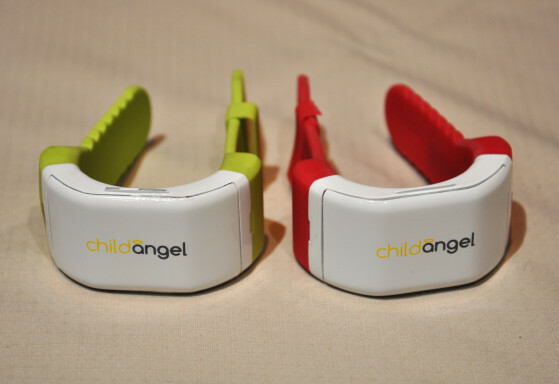 Earlier this week, Child Angel launched an Indiegogo campaign to help get Child Angel into production. The bracelets currently retail for around $190, plus an additional 25 cents per day for data services. Many products come from a personal problem, and Child-Angel is no exception. When the creator’s child was lost for a short while in a shopping center, it got his mind going. He gathered a tech team and a design team to put together his idea to protect other families from the same panic he experienced. Running on traditional GPS, Wi-Fi location and GSM, Child-Angel keeps track of your kid at all times. You can also setup geofences to alert you when they have gone somewhere they aren’t supposed to go. More importantly, the kid can trigger an alert if they are uncomfortable, simply by opening up the back part of the band. 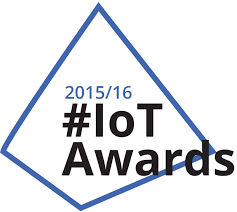 The problem with many trackers is that they are not something that kids want to wear. 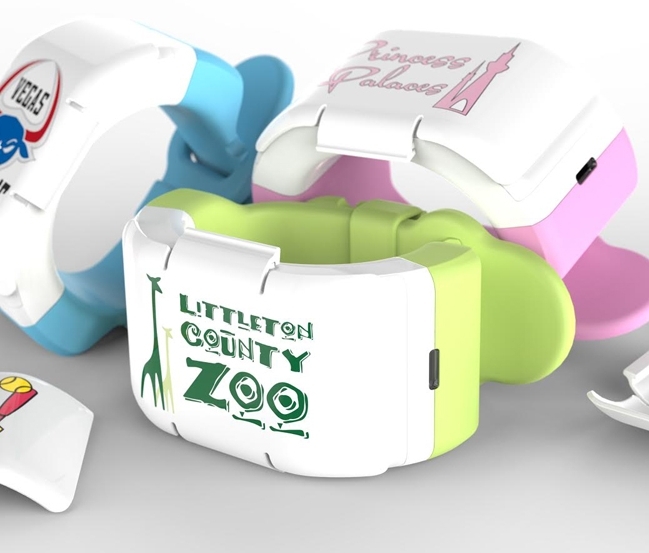 Child-Angel solves this problem by making it more like a bracelet, with customizable covers that can be snapped on at will without exposing the electronics. Now, when they wake up, they can choose to wear a princess, racecar driver, or anything in between.